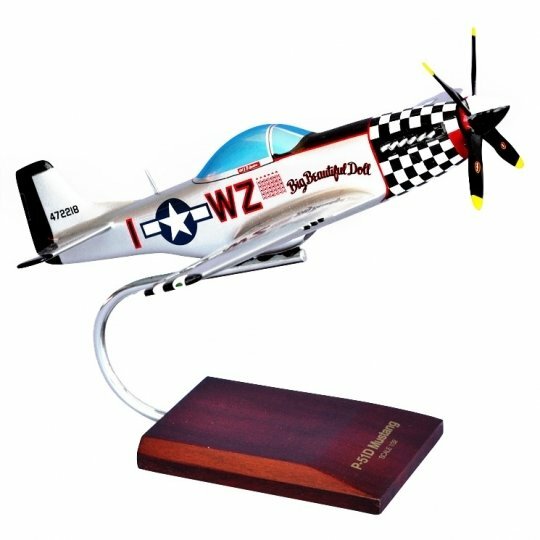 The P-51D Mustang is an iconic American aircraft of World War II, which also served in combat in Korea, actually began as a British aircraft. Designed and flown in just 178 days in response to a British proposal for a fighter-bomber. In 1942, the Mustang received the Rolls-Royce Merlin engine and the results were magic. High altitude performance exceeded expectations, with the Merlin-powered Mustang topping 440 mph in tests. The Mustang continued in service following World War II, operating as a fighter-bomber in Korea. The Mustang is a popular airframe for air racing, and restored versions are a common sight at air shows.